For courses in Automotive Engines, Engine Rebuilding, Engine Machining and Engine Repair. 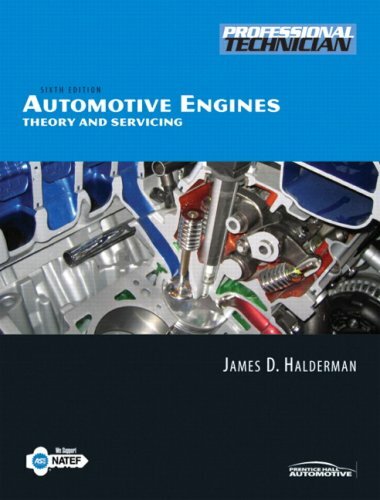 This comprehensive textbook covers all aspects of engine repair including engine machining and sub systems such as ignition and fuel injection. The text is written to correlate to the content needed for the ASE Technician Certification test and the NATEF task list, and provides a major emphasis on diagnosis and why operations are performed. Tech Tips and Real World Fixes provide real world applications.